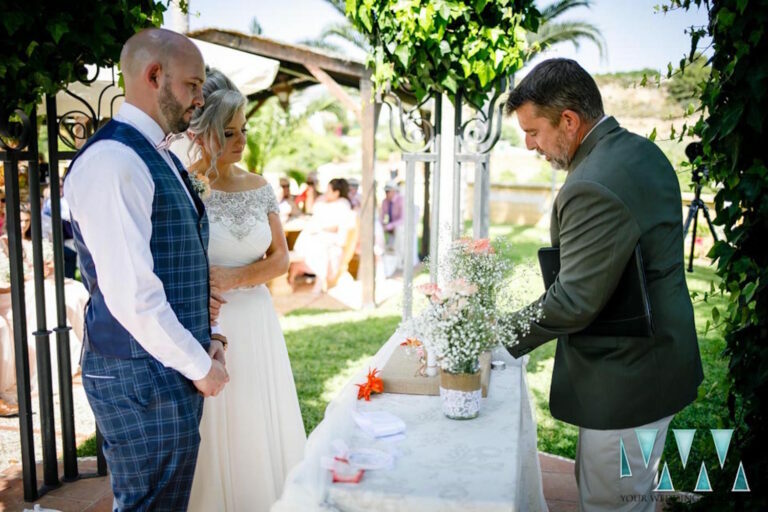 In Part One we met Gareth who is a Wedding Minister on the Costa del Sol. 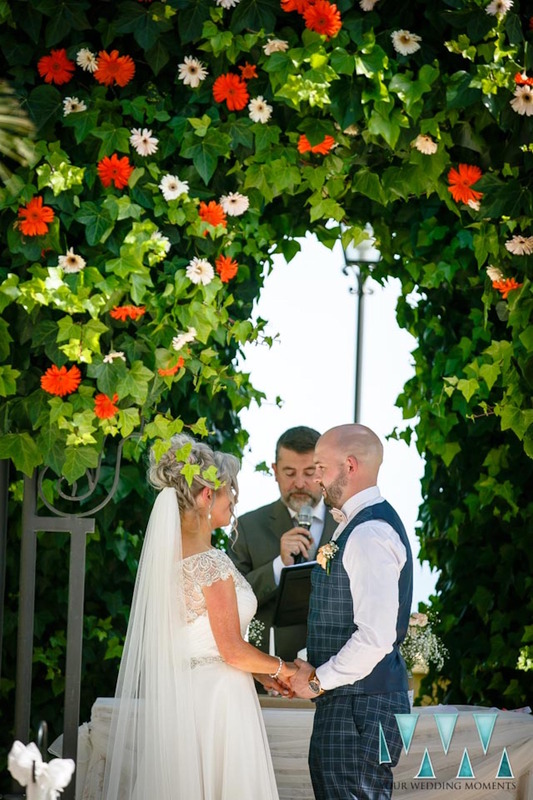 Today we peek into a day in the life of a celebrant, find out what was his proudest moment and how he prepares for the big day. I think the couple’s involvement in the ceremony is…. paramount. After all, this is the promise you are making to one another. You don’t want anyone else putting words in your mouth. That just takes a little away from the sincerity. Not everyone is a great writer, and I’m delighted to help make changes when asked. I don’t think rehearsing is necessary but… I am always happy to do it. I think the best approach is to keep the bride and groom’s jobs very straight forward so that they don’t have much to remember. You’ll be nervous enough, that’s normal, so the last thing you need is a complicated ceremony that provides opportunities for mistakes. I like to be prepared…so I want to get the bows and the lines for the ceremony as soon as possible. This way I have plenty of time to rehearse and make the ceremony more natural in its delivery. My proudest moment was…my first wedding, bringing together two of my closest friends. So emotional! When planning your ceremony…keep it simple and sincere. A day in my life starts by…. sitting down for breakfast with my family. It’s a great opportunity to remember how lucky we are, before going off to help another family come together. Once I’m fueled up, I run through my checklist, do several final read throughs and try to arrive 30 minutes before I’m expected. At that point it’s usually about spending time around the husband and his best man, keeping them calm and prepared. My favorite wedding venue is…TikiTano in Estepona. I also love visiting Nerja. One of the funniest moments was… trying to light a ‘unity candle’ at one of my first weddings in a howling wind near the beach. Lesson learned! Unity candles are great, but best saved for indoor ceremonies.